Southern Tide is a mid-priced men's & women's clothing store — primarily featuring preppy, classic casual wear. ShopSleuth found 103 men's & women's clothing stores similar to Southern Tide, out of our database of 45,744 total stores. The following stores offer the closest match to Southern Tide based on our proprietary matching algorithm. Submit your vote below to help us refine our Similarity Scores and rank the stores and brands most like Southern Tide! Sperry specializes in high-quality shoes inspired by the California coast boating lifestyle. Iconic and trendy, Sperry exists for those who are drawn to the sun, surf and soul of the ocean. Vineyard Vines is an American brand that caters to men, women, and children. Vineyard Vines is known for its classic all-American looks, inspired by summers spent on the beach in Martha's Vineyard. Lands End presents a timeless American collection of casual wear for men, women and children. Lands End has proven for over 50 years that they are passionate about quality, style and value. Crew Clothing is a British casual clothing retailer for men, women and children. Its premium casualwear celebrates the best of authentic British design and coastal heritage. Fraternity Collection offers a line of customizable clothing for men and women. Inspired by its rich southern heritage, Fraternity Collection blends classic styles with current trends. L.L. Bean provides quality apparel in modest styles for men, women and children. Founded in Freeport, ME in 1912, L.L. Bean prides itself on the companies rich heritage and traditional design. Brooklyn Industries is a cutting edge clothing and bag company. Owned and operated by artists, Brooklyn Industries translates art into clothing and specializes in nylon messenger bags. Love Nail Tree is a t-shirt retailer that was born from a love of graphic design. Love Nail Tree offers t-shirts in various styles, with a wide array of screen print graphics to choose from. Rebel Circus is casual wear with attitude. Rebel Circus offers a full selection of separates for men women and kids. Spiritual Gangster is a high end clothing retailer specializing in yoga apparel and gear. Spiritual Gangster knows the importance of comfort during your practice. Ten Tree is a Canadian lifestyle apparel company for men and women with a unique plan. For every purchase made in store or online, Ten Tree will plant a tree. Surfdome is the ultimate lifestyle store. Surfdome carries over 900 of the world's leading sports and outerwear labels, providing customers with the best in festival wear, sportswear and more. Ocean Pacific is the original authentic Cali lifestyle brand for men, women, and children. Inspired by the West Coast youth scene, the brand sells swimwear, clothing and accessories. 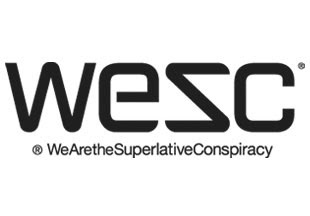 Wesc is a premium streetwear company that celebrates skateboard culture. They aim to create unique clothing and accessories in a world of like-minded people. Palmetto Moon is a South Carolina based sports and gift retailer. Palmetto Moon carries authentic SC Collegiate gear, apparel, gifts and more. DL1961 is a NYC based denim company that set out to create the "perfect fitting jean". Now a leader in denim, DL1961 creates chic, stylish jeans that can be worn all day without sacrificing comfort. Lacoste was born when creator Rene Lacoste debuted the first polo, emblazoned with the iconic crocodile. Elegant, yet comfortable, the shirt launched a company that now offers a full line of apparel. Southern Tide is a high-quality fashion retailer with a Southern style. Southern Tide offers casual separates, swimwear, sportswear and outwear for men, women and youth.